A well-functioning septic system and drain field are crucial to ensuring all harmful toxins and bacteria are removed from the water supply. As a trusted provider in Mahopac, NY, Great Bear Septic Service provides residents with effective maintenance and repairs to keep their systems functional. To ensure you address problems right away, they offer a few tips for recognizing potential drain field issues. 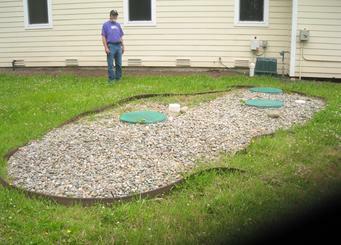 All water flowing from the home goes directly to the septic tank, so it’s essential for this component to function well. Internal parts can degrade over time—especially when they come into contact with corrosive materials—causing leakage onto the lawn before reaching the drain field. To prevent such issues, schedule regular tank maintenance with a service provider. An oversaturation of water can cause drain field flooding. Leaky pipes are often the culprit. Also, if more people are using the septic system than what it was designed to handle, this too could overwhelm the tank. If either occurs, you’ll either need to curb the household water usage or expand the size of the tank. Clogs can also impact the drain field, especially if there are many trees on the property. Roots may entangle in the drain field and prevent wastewater from evenly dispersing throughout the soil. Roots can also infiltrate the septic tank, which will require fixing or a possible replacement. By knowing the common causes of septic failures, you can catch issues early on and prevent expensive repairs later. If you need a solution in Westchester, Putnam, or Southern Dutchess County, turn to Great Bear Septic Service for skilled and seasoned contractors. The team has been serving the community for over three decades, offering quality maintenance and repairs. Visit them online to learn more about how they can assist with plumbing problems. To schedule an appointment today, call (845) 621-0250.